This low side table is especially suitable to enjoy sitting around with company. 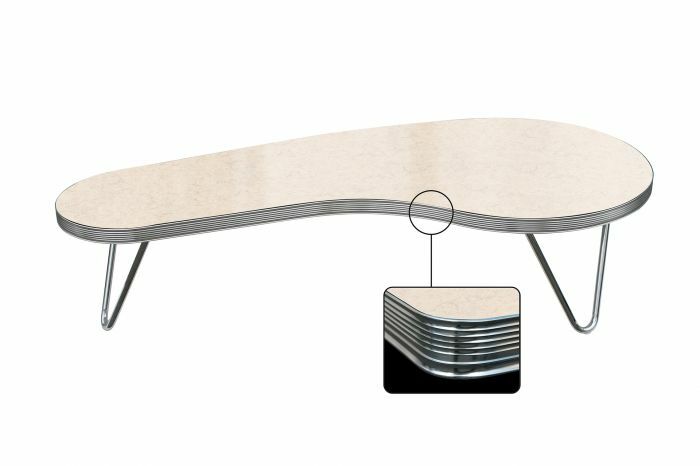 The stylish pipe frame gives the table a unique fifties look that can easily be placed in a retro decor. 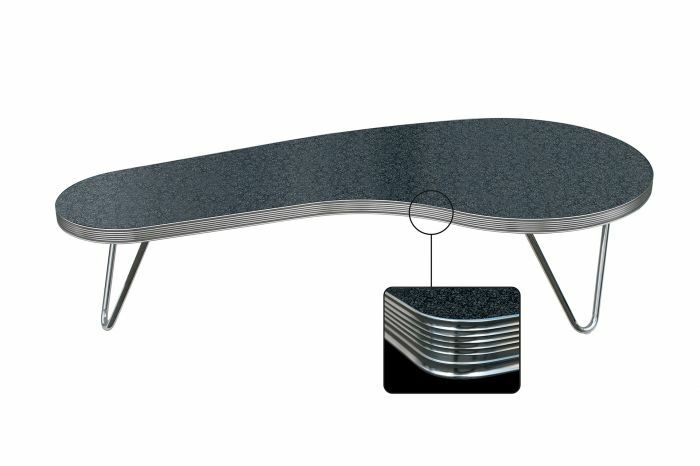 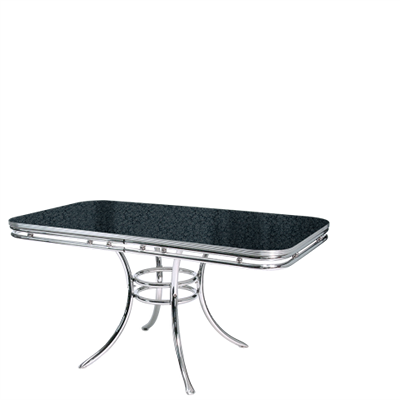 The table top is available in as many as five different colors and is lined with a luxurious decorative chrome rim.